In a new series, BBC News focuses on aspects of life in countries and cities around the world. What may seem ordinary and familiar to the people who live there, can be surprising to those who don't. 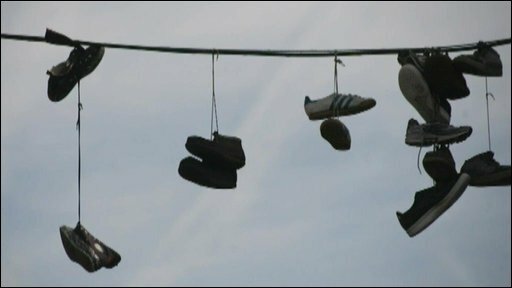 In many areas of New York City - and indeed in other cities around the world - pairs of sneakers are often found hanging from telephone wires and power lines. But how do they get there - and what, if anything, do they symbolise? Ramon Goni goes to Brooklyn to find out more.